Nonpublic School Students. Upon approval of the Director of the Iowa Department of Education, students enrolled in private schools may be allowed to enroll in the District for specified courses when the courses are not available to them in the private school and provided the students have satisfactorily completed prerequisite courses or shown equivalent competence through testing. The Board retains its authority to prescribe the terms of the enrollment. Public School Students. 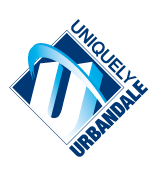 The Board may, by agreement with one or more other districts, provide for attendance of District students in the other district(s) for the purpose of taking courses not offered by the Urbandale District, or the Board may provide for students of another district(s) to take courses in the Urbandale District.